I would love for you to come make Birthday cards with me for the next three months, and then we'll move on to other occasions and end with a few months of Christmas cards! Each month I'll offer a live event and one TO GO! You can cancel at anytime, but if you complete 6 months, I will give you 25.00 of FREE product of your choice! Today on my facebook live I showed how to make these adorable projects! They take poop to a whole new level! Be sure to join my email list so you don't miss anything that I offer! Lots of people have been asking me for the video on how to make a gift bag and a hanging card from 2 pieces of 12X 12. 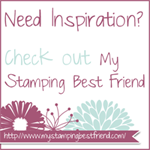 June 2018 Stamping Schedule in my studio! We have so much fun at the studio...won't you join us! Shop from Hundreds and Hundreds of stamp sets, punches, Big Shot dies and folders, Ribbon, Paper, kits and more! Buy exclusive Retired product and you can pick NEW Catalog product for FREE! This is exclusive shopping event only happens once a year! PLUS SHOP from my BOGO sale! It will still be set up! Make a total of 10 cards! Cost: 15.00 or FREE with a min. order! Come have some fun and stock up on beautiful Homemade cards! Here is my March Schedule if you want to come to my studio and stamp with me OR have a kit sent to your door! OR take it ONLINE to go! CARD CLASS!...come make 10 beautiful handmade all occasion cards! 5 different designs/ 2 of each! Make 6 cards, a box and a bag, and GET lots of goodies in your kit!